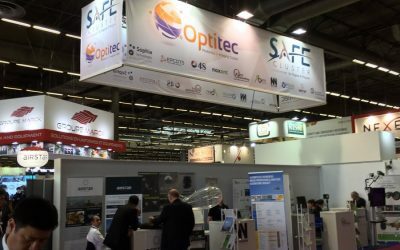 SAFE Cluster, in partnership with Optitec Cluster, exhibited at the Defence and Security International Exhibition, Eurosatory, in June 2016, in Paris. At this shared booth, 10 SMEs, supported by SAFE and Optitec clusters, had the opportunity to display their solutions and promote their services. SAFE Cluster participated in the European Annual Conference on research in the security domain that took place at The Hague on 1-2 June 2016. Do you have a brilliant idea? Are you a SME or a researcher? The “SME innovation associate” call is here at your service! The European Commission and SAFE Cluster invite you to submit your application to this call, a pilot action with high levels of success. Taking part in defense or civil missions, e.g. cargo transport, observation and surveillance, airships appear as innovative air carriers. Last June 10, the 8th Airship Forum edition took place in Royan, France.